Tea Rose Home: Link love No.22! Boy, I feel like we (my family) accomplished a lot today. We worked on the yard, and my sweet husband helped me to can the tomatoes from our garden. I made tomato sauce and I must say, I LOVE the smell of tomatoes and basil filling up my house. There is so much to do around the house, but usually I don't have time to do them during the week. So to make some progress on projects feels good. I chose some links for this week, enjoy! 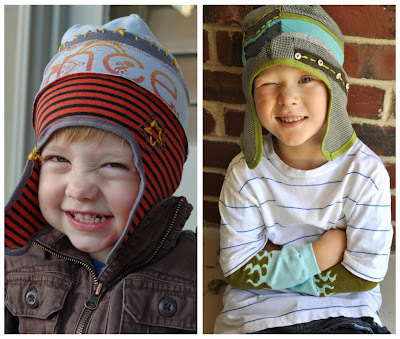 I am so impressed with the hats I am Momma Hear Me Roar created out of the shirts that her boys out grew. How she put them together shows her sense of style and talent. I just cleaned out my boys closet and found some shirt that they out grew, I might give this a try. For the Love put together a very cute party table with hot pink and black color theme. Isn't it so pretty? There are so many great ideas that we can borrow for future references. Honey Scrap Design was inspired by a wall decor from Pier One and made her own. Check out her well written tutorial! I love this dress by Our Daily Obsession. 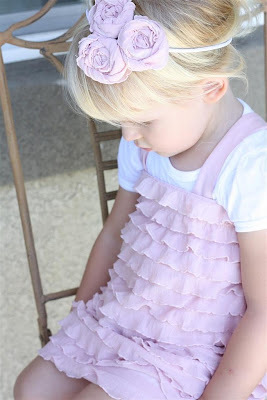 The color is pretty and has ruffles all over. Very romantic! I always want to learn more about how to alter clothing patterns (I do try, but I don't know if I am doing it right or not). Sew A Straight Line used a vintage maternity dress pattern and created a very nice top. Great job! Thank you SO much for featuring my boy hats. I hope you do make some. You would make some gorgeous ones with your mad sewing skills! Thanks again! Dear Sachiko! Thank you so much for the sweet comment you left on my crochet scraf! Go ahead and try it - I just started crochet a few months ago and it is very easy to make! It would look very nice in a light ivory color! having you like my top may just be the best compliment ever. Thank you!